Fashion Polish: one million pagesviews + blogaversary : one month of giveaways, week 2 : effects!!! one million pagesviews + blogaversary : one month of giveaways, week 2 : effects!!! I hope you've all had an amazing weekend and if you didn't I hope this post will contribute in cheering you up at least a tiny bit. As promised, I will be adding a new giveaway each week and you will be able to enter them one after the other, so let's see what we have today. If you've read my blog in the last few weeks, you do know that I was in Holland visiting my friends and that I shamelessly spent hours shopping nail polish. Probably some of the best crackles this year. The giveaways are open internationally and without any restrictions until December 11th. There aren't any specific rules really : just be a follower to my blog (you're welcome to join now of course!) and fill in the forms, a new post every week. You can also spread the word if you want to, via your blog, Facebook or Twitter for 1 extra entry each but that's not mandatory. I will randomly pick the winners on December 18th and they will have 48 hours to answer. Could you please send me an invitation to rafflecopter? I would love to try this for my next giveaway! It looks great! Omg. I saw those P2 crackles on your page and I went scouring the internet for either those or the Golden Rose ones. I even tried using bing to translate a Polish website to ask them if they would ship to the USA. No reply yet, lol! 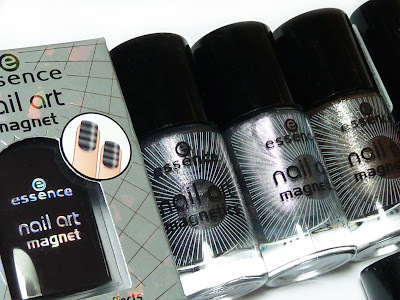 I haven't tried the magnetic polishes yet but they look really cool! Congrats on your 1mil page views and blogaversary. What originally attracted me to your site are your Frankens but it's nice to see that you keep up with the previews of the new polish collections too. This has to be my favorite Nail Polish blog, so you definitely deserve the 1mil views! Those look like awesome polishes, thanks for the giveaway! That's very thoughtful. je venais pour admirer tes swatch et que vois-je ? another giveaway ! merci infiniment tu nous gâtes ! How awesome are all of these polishes? OMG! This is an awesome giveaway! and congrats on all the views!!! thank you for the amazing giveawayy!!! And again with another phenomenal giveaway! There are going to be some seriously lucky ladies out there! Hi, I love this type of nail polish. You can change also the polish that you don't like anymore. I'm really interested in P2, they seem amazing!! Thank you for this funny giveaway! Congrats!!! That is awesome!!! Love your blog! congrats again and omg i thought the other polishes was awesome but thhis blows my mind! Yay, another amazing prize pack <3! WOW most of these polishes I have never even heard of. They look absolutely amazing. These look amazing. Your giveaway prizes have been awesome, I can't wait to see what's next! Thank you for the GA !!! They are amazing! Hope I'll win! Congrats on the million views....maybe one day for my blog!!!! 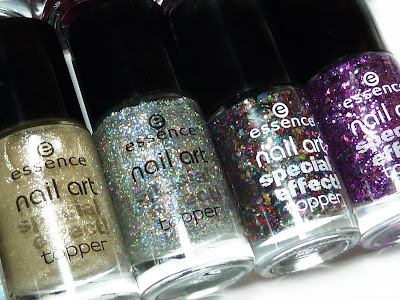 Wow these polishes are amasing, im from Denmark and we dont get those polishes over here, i would love to win them and be able jo enjoy their beauty! Esses premios são maravilhosos! Participando! Those crackle coats are beautiful! i hope i will win!!!!!!!!!!!!!!!!!!! Oh, I've been DYING to try Essence polishes!